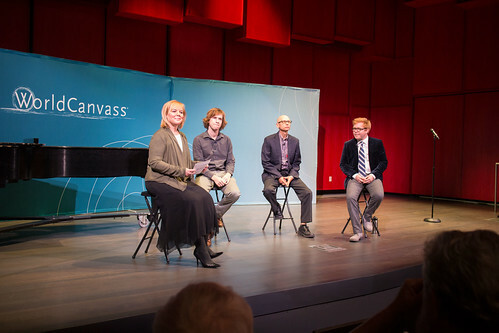 Season eight of WorldCanvass premiered on Tuesday, September 13, in the newly-opened Voxman Music Building in downtown Iowa City. WorldCanvass guests joined host Joan Kjaer to discuss the controversial method of energy production known as fracking and its impact on the environment, social dynamics, and the economy. They also explored, through music and literature, ways in which artists have documented transitions and grappled with the drumbeat of change. Read more about the show. WorldCanvass is also available for download on iTunes.